The spectrum of deletions and duplications at the 16p13.11 locus. 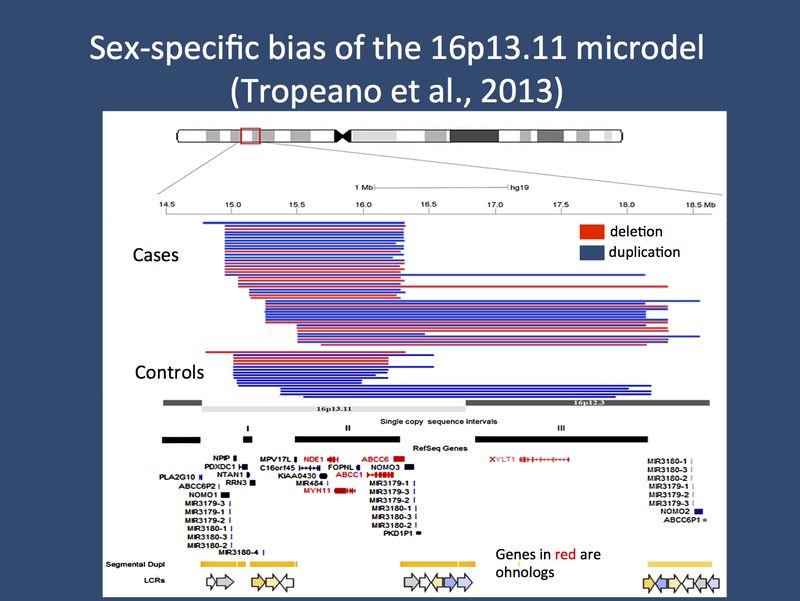 Deletions are shown in red, duplications are displayed in blue. There is an excess of all CNVs in cases compared to controls and this applies both to deletions and duplications. The size of the deletion or duplication is not different between cases and controls.